Earlier today at the 39th Annual General Meeting (AGM) of Reliance Industries Ltd, Mukesh Ambani made some official announcements about Jio that has literally shaken up the Indian Telecom industry in sending some shock waves – thanks to the various options and pricing. While there is not 100% clarity on everything, we do know most of the things that Reliance Jio service will bring us. To make it easy for you, we’ve sliced them up into key FAQs based on the information we’ve been keeping a tab on including the official announcements made at the event earlier today. 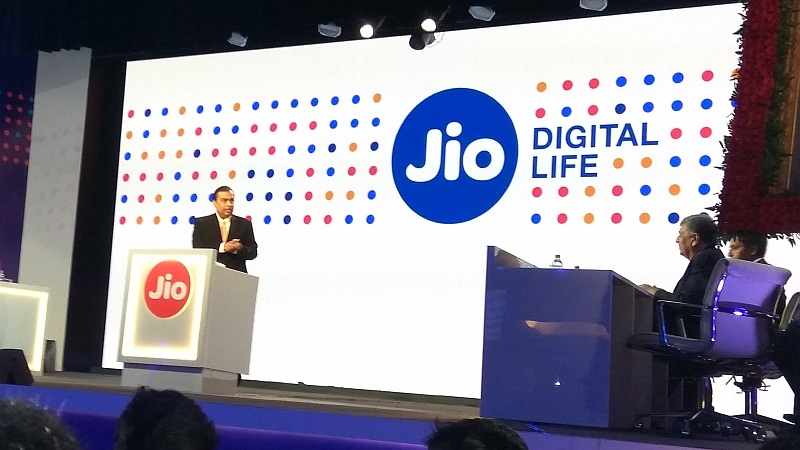 Starting September 5th 2016, Jio will be made available for everyone regardless of the phone they own. However in order to activate the services on the SIM, its imperative that one has a VoLTE enabled phone to be able to make calls and 4G supported phone to be able to use mobile data. I have just 4G support but no VoLTE on my phone. Does this mean I cannot make calls? Download the JioJoin app and you can make voice calls via the app. This is a workaround for phones that do not have VoLTE. But having 4G support will be the basic prerequisite. Is this a commercial launch or the preview stage is still ongoing? Jio’s Commercial launch will happen on 1st January, 2017 when subscribers can avail the listed plans. It is the preview stage until 31st December 2016 during which users can avail unlimited Jio services free of cost. Will I need to generate a code to get the Jio SIM even now? NO, not anymore as the Jio WELCOME OFFER will start on September 5th. We even enquired in few stores already and they confirmed there is no need of a code. However, there is a huge rush for the SIM cards and many stores have started a token system to issue the SIM. Will existing users unlimited data and apps subscription will be extended till 31st December? YES, if you are an existing Jio Preview Offer customer then you will be automatically migrated to the Free Welcome Offer on 5th Sept, 2016. Hence, you will continue to enjoy unlimited services and access to Jio premium apps till 31st Dec, 2016. Is data UNLIMITED in the Welcome Offer? Will there be any Roaming charges on Jio? What are the charges for Calls and SMS? Note: Prepaid packs with denominations Rs. 19, Rs. 129 and Rs. 299 cannot be availed as a First recharge by new subscribers. What if I exhaust my usage? Are there any add-on packs? What’s Free Wi-Fi data in all Jio plans? Jio Wi-Fi data benefits in the plans refers to Wi-Fi data availed at the public Wi-Fi hotspots of RJIL. This is a location based data benefit which we think isn’t really worth in practical usage and is more of a marketing strategy. Jio’s customer number will be linked when the WiFi hotspot is used to track and determine their data usage. After exhausting the free Wi-Fi data, additional Wi-Fi data will be charged at Rs. 50/GB and this is something Reliance is using as a marketing stunt to popularize Jio among masses. Will MNP be supported? If so starting when? Mobile Number Portability aka MNP will be supported by Jio but only after the commercial launch happens in 2017. It will be the same standard procedure as followed for/by any other service provider at the moment. What kind of speeds can be expected on the Jio network? Jio officially states that they can go upto as much as 135Mbps but this completely depends on your location, user density and how much Jio will scale themselves. In our usage until now, we’ve seen speeds shoot upto 90Mbps and also go down at times to as low as 1Mbps. Hence its not assured what speeds you’d get being where. What sort of network is needed for Jio? 4G is the basic level. Jio officially states that they are also ready for the next two generations (5G & 6G) as well which is a great news. Where can I get myself a Jio SIM? There was some kind of WiFi Hotspot device from Jio. Is that still on? Yes, Jio has also launched a JioFi MiFi 4G router that works as a portable Wi-Fi hotspot and provides seamless connectivity to 2G/3G devices. JioFi is now priced at 1,999 INR as compared to 2,899 INR earlier. How about LYF phones on preview offer? There is some word floating that there could be extensions of the offer for early adopters but we will wait to see. Many LYF users are already getting messages to start recharging as the preview offer would end on a stipulated date according to their activation date. LYF phones are now available for as low as Rs. 2,999 and their feature-rich devices are priced between 3,999 – 5,999 INR. Are there any other special offers apart from free calling? How long does it take to activate the JIO SIM? Jio has already started sending SMS to pending activations that they’ve received an overwhelming response and a delay should be expected in the activations. What used to take a day or two few weeks ago is now taking anywhere from 5-15 days. Post commercial launch, Jio has announced that activations will happen literally in minutes with the e-verification support linked to Aadhaar card and CAFs which is good news. What and how is the network coverage across India? Jio claims to have captured coverage in all of the major cities (18000) and town which has now hit upto 70-80% and should rapidly cover more in the coming months. Jio stated they’re also targeting 2 lakh villages too to provide coverage. The plans mention unlimited data during the night. Are there any specific conditions for this? Are the Jio apps any good? Most of them are good. We for one love the JioBeats, JioPlay and JioDemand that offer lots of latest content that one can use. Other Jio apps include: JioJoin, JioDrive, JioMoney, JioSecurity, JioMags, JioXpressNews, JioChat which all can be easily accessed using the MyJio application. Would there be any home internet options? Yes, this is one of Jio’s big plans for the future where they aim to provide speeds of 1Gbps with the launch of its fiber to the home (FTTH) services. This will be initially available for top cities and enterprise services. How is the customer care of Jio? It has been good so far but the wait times have started progressively increasing which was obvious. One has to see how Jio scales this up. It is also announced that Jio’s Platinum customers will get to video-interact with customer care that would bring in enhanced experience and expedited issue resolutions. For any issues or complaints, you can call us on 198 (from your Jio SIM). For any other queries support on Jio services, call us on 199 (from your Jio SIM) or 1800 88 99999 (from any other number). Are there any corporate plans on offer? There is no particular corporate plan as such but Jio has stated that there will be certain plans aimed at small business enterprises and start-ups that will enable them on the digital front to help them grow faster. Answered a few questions and raised some new ones. BTW, good article. I have HTC desire 526 G+ How can I get 4 G internet speed on this mobile? Will WiFi Reliance dongle will give me 4 G Speed. Can I connect my 1 other HTC mobile & Dell laptop to get the 4 G Speed. In total how many devices can run on this dongle.how can I get 4 G Speed when I am out of my house. what\’s the difference they are making between \”4G LTE Data\” and \”Free Wi-Fi Data\” in the pre-paid plan table ? Updated the FAQ with your query. Plz refer to point #10 above. I didn\’t find signal on my Oneplus One. Can you plz help.